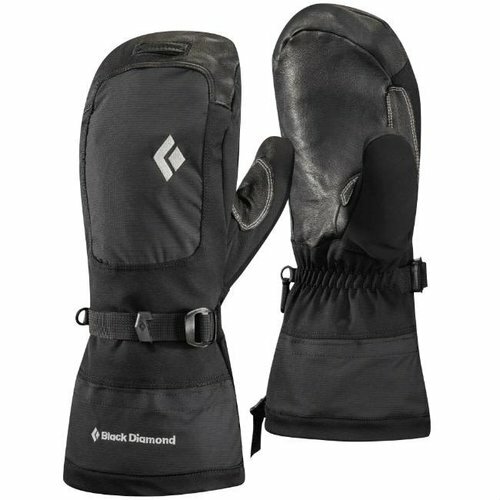 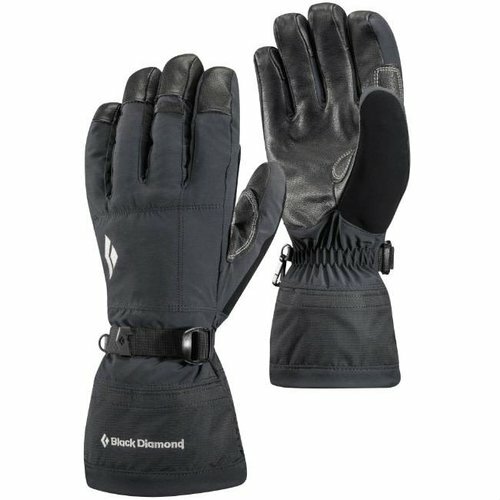 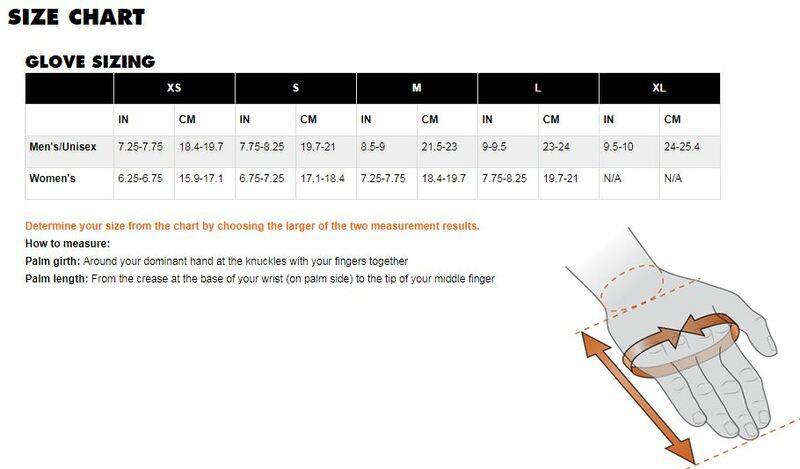 Designed for high-lofting hand warmth on frigid winter hikes, bone-chilling belays and other winter activities, the Black Diamond Stance mitts, inspired by Black Diamond's own belay jacket are ultra-compressible and ultra-warm. 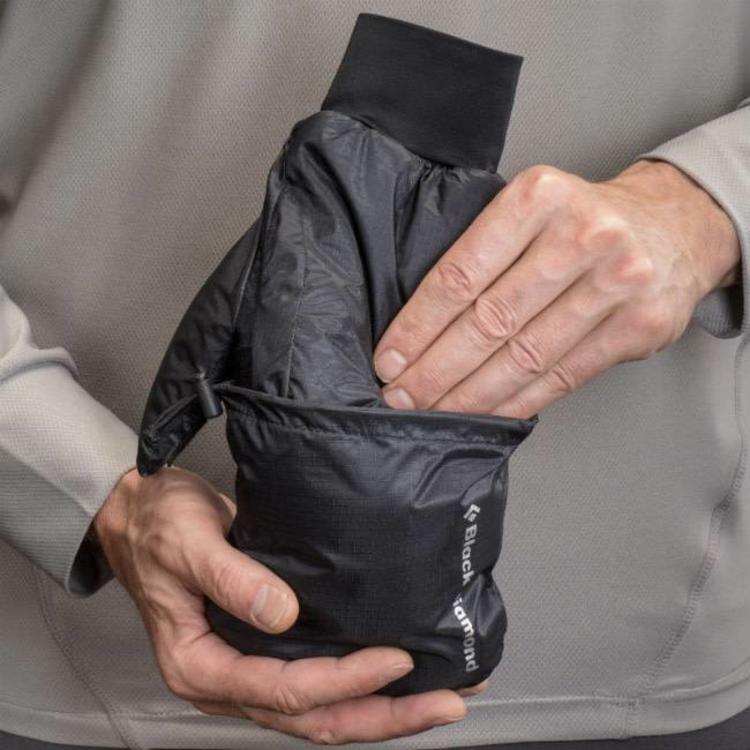 The light yet weather-resistant Pertex shell fabric keep the elements at bay, while the highly packable PrimaLoft insulation provides warmth even when wet. Goat leather palm patches add durability and a secure grip when working with poles, tools or ropes, and the included stuff pouch makes for compact storage when stowed in your pack. Weighing just 69g (2.4 oz) a pair, with a temperature range of -9/4 °C (15/40 °F). 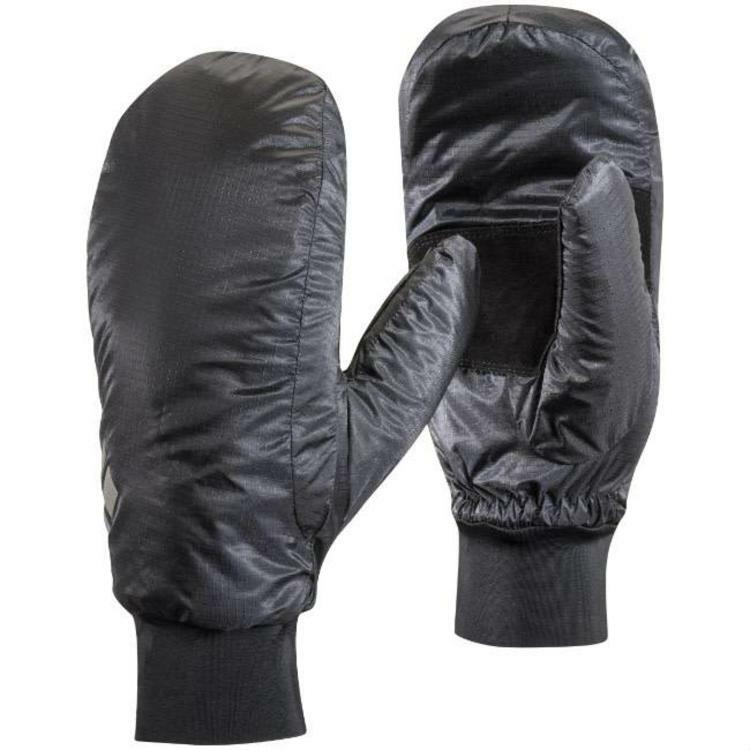 BD's most versatile and popular year-round mitt, the Mercury Mitt features a fully waterproof insert and PrimaLoft® insulation, as well as a removable split-finger liner for increased dexterity. 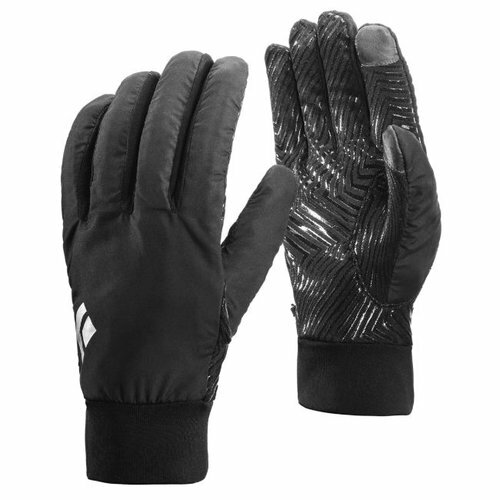 Grippy, stretchy and weather-resistant gloves ideal for mountain racing, ultra-running and other high-output pursuits, the Mont Blanc offers the protection you need without slowing you down.